The sensitivity of young people today should ideally never be gauged by the first question that comes to their minds when a bomb goes off in Karachi: Will there be school tomorrow? Instead, Karachi’s generation-next should be assessed on how much hard work, effort and time its members put into relief camps and charity distribution, placard holding and general running around they did in an effort to contribute to alleviating the pain of the people hit by the flooding this summer. There was a definite perception that young privileged girls and boys just live in their bubble on that side of the bridge and don’t really care about the other humans they share a country with. But if the flood relief efforts are anything to go by, let alone the home schools and separate year-round efforts, a different picture emerges. Some of the good work included personal charity drives, pitching tents at much-visited spots such as Agha’s Supermarket’s parking lot or outside the Forum to urge people to donate, working through school networks to send out appeals for water, blankets, toys, books, food, medicines. Others spent school hours packing the material, or badgering their factory-owning fathers to arrange trucks to be dispatched to the villages. The older ones even jumped onto the trucks, braved looting and the unchartered territory and headed into the swimming fields of Sindh. For others, there was another ingenious way to try and solve other people’s problems. So what if you can’t make it up to Tori Bund and hand out Peditral and ORS to diarrhoea-cramped survivors? 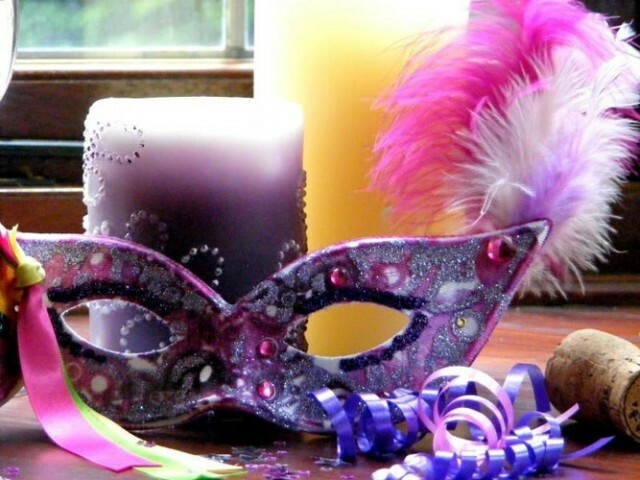 You could instead attend a masked charity ball! But first tickets needed to be sold, somehow, at this extraordinarily difficult time. “So, who’s coming?” I ask. The ticket-seller replies in an attempt to sound casual, “The usual schools.” A list is produced. That hurt, as did the arched eyebrows and innocent wide-eyed questioning by the ticket seller. What kind of person are you? You can’t buy a ticket for charity? My excuses don’t stand a chance. My parents already gave X amount of rupees to the prime minister’s relief fund. Or, did you know how expensive goats were this Eid? Anything to cover up the fact that I didn’t own a ‘gown’ or a ‘masque’ or simply, didn’t think it was appropriate given the scale of the devastation. The sidekick butts in. “We’ve hired a contingent of security forces, no need for your mum to go all emo.” Let me get this straight. They’re “hiring” a security contingent to guard a party while they simultaneously lament the lack of security everywhere else? But it didn’t matter. I wasn’t going. Later, I was showed pictures of the party, suits and long, covered gowns milling about with little glasses of Coke. It was all rather tame. And yet, the organisers not only broke even, they managed to set aside a decent ‘profit’ that was sent through various NGOs to the flood survivors just in time for Eid. I’m still a little divided over the phenomenon of revelry for relief. Is it akin to fiddling while Rome burns or is it better to do something, anything rather than not play at all?